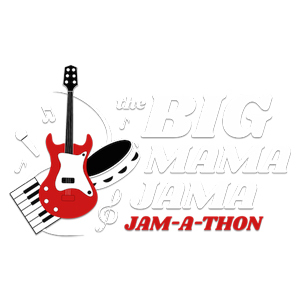 STEVE VAI Announces "THE BIG MAMA JAMA JAM-A-THON"
Steve Vai has announced he will host and serve as the musical director for “The Big Mama Jama Jam-a-thon" — an open, improvisational music/art event where the music doesn’t stop for 52 hours — to be held Sept. 28-30, 2018 at Musicians Institute’s brand new venue, LiveHouse, in Los Angeles, California. The jam-a-thon will mark the public grand opening of LiveHouse. 100% of the profits raised will benefit Extraordinary Families, a leading nonprofit foster family, adoption agency in the Los Angeles area dedicated to improving the daily lives of children and youths in foster care. Various professional musicians to be announced (including many of Vai’s friends) and novice musicians, along with celebrities, painters, poets, magicians, visual artists, speakers and other creative performers from all genres are invited to support each other in an “in-the-moment,” continuous 52-hour jam featuring non-stop music and other creative activity. Vai will be center stage for the majority of the event and will be directing the band and jammers in an impromptu setting. Entry to the jam-a-thon can be purchased HERE. Wristbands (good for 4-hour blocks of time) are for sale for $50 on a first-come, first-served basis (these will also be available at the door if spots remain available). Individuals interested in taking to the stage to participate in the jam can purchase and secure a slot on the jam (approximately 10 minutes in duration) during the hours of Midnight PDT to 7 p.m. PDT on Saturday, Sept. 29 and Midnight PDT to 3 p.m. PDT on Sunday, Sept. 30. 100 pre-purchased slots will be made available and guaranteed for a donation of $100 each, while they last. On-site stage participation passes can be purchased for $150 if schedule and space allows but advance registration is encouraged. Beer, wine, non-alcoholic beverages, and simple munchies will be made available to purchase in the venue. Auction items plus other unique and fulfilling opportunities to donate to Extraordinary Families will be available online at www.jamathon.org and at various times throughout the live webcast.